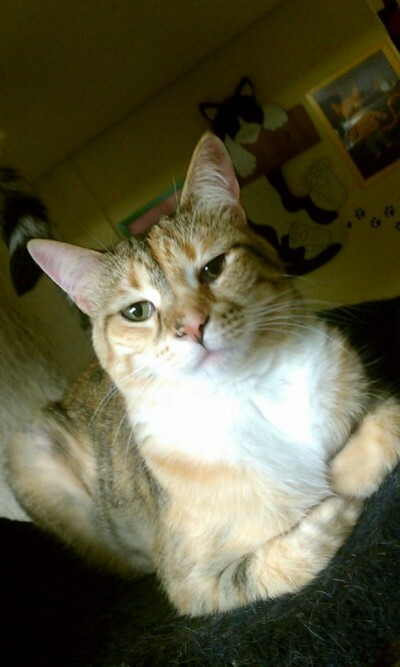 Autumn is a Torti/Tabby mix born in September 2008. When she first came to the shelter, she had chronic ear infections so she is a littly shy of people (doesn’t want any more ear drops!). Autumn likes long naps with her boyfriend Elvis, but isn’t opposed to snuggling with a human. She often keeps herself busy by playing with quiet toys. 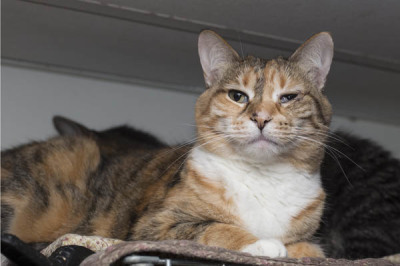 Autumn is bonded with Elvis and would need to be adopted together.